Occasionally someone challenges me when I bring Pink and Girls to task as it relates to being used in the beer world. 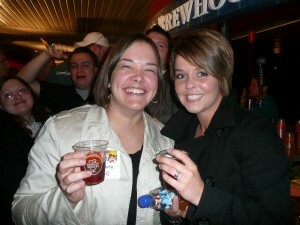 Make no mistake: The use of girls in relation to women and beer is unhelpful, damaging, and not clever. By definition a girl is a female child, under the age of majority, and sometimes used in an offensive and denigrating manner. You want equality? Don’t call women ‘girls.’ They aren’t. Those who wish to stand up and crow about it being okay are not okay. Feminism is the goal of equality for all – and women intentionally calling themselves girls thinking they’re clever and that they have the right to do so are pushing the cart backwards, whether they want to recognize it or not. Equality will not be accomplished by calling women girls when it suits a certain few. It wasn’t girls liberation, it was women’s liberation. And plenty of women have and continue to die for equal human rights based on our gender. I absolutely fail to see how using girl where women should be used is in any way shape or form acceptable. Plus I challenge you back: Tell me how progress can be made by calling women ‘girls.’ No such thing. Calling women girls lessens their full value as human beings. It doesn’t help reduce domestic violence, it doesn’t help reduce battery, it doesn’t help reduce the symptoms of the 23% wage gap, it doesn’t help get rid of the rampant objectification of women everywhere. Go ahead – tell me it’s okay to call yourself a girl and then want to be treated with full respect. Seriously, it’s unbelievable to me how women defend their position and desire to be called a girl. And for the record, were not talking about femininity here. That’s different. If you want to rant, go for it. Go do it somewhere else. I’m not interested in anyone – especially women – defending women being addressed as girls. I believe in gender equity. I believe that everything we call ourselves matters – in every forum, that the use of colors in reference to a gender is out of whack and I’ve no time for women who will stick their chest out to accuse me of not supporting women. Get over yourselves and your attitude and get with the equity program. Women are women, they aren’t girls, chicks, babes, broads, gals, or anything else. They’re women. Beer has always been beer. It’s been around as long as humans have been in one spot long enough to make it. So why is there now *suddenly* a definition of what beer should be? I speak of the word Craft in reference to its use with the word beer. When I started WEB I’d use the word, as did the crowd I hung with – the professionals I’d come to know and enjoy. The longer I’ve been around the industry though, the more I chaff against it. Here’s why. When I was teaching public school a number of years ago, and even when I was in my education program in college, I quickly saw that labels and identifying words could be damning. And permanent in a very negative way, with both positive labels and negative ones. Ever been called stupid? Unique? Smart? How about ADD, ADHD, Special Needs? Perhaps the titles originally were designed to help those who thought they were helping the student. Nevertheless, those same people conjuring up these titles ended up creating more damage than good. It works both ways: Champion, Winner, Title Holder. Pressure anyone? People like to name things, because it helps us understand and go forward. 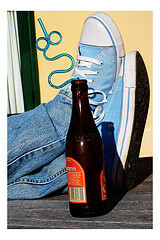 Although for some, they become a crutch, a permission slip to not do this or that – or to do this or that. I hated them as a teacher and simply wanted to see the student as the person they were. Yes, we all have qualities and talents and physical and emotional characteristics that make us who we are. They are should not solely define us or who we are and can be. The same holds true with beer. To use one word to narrowly define what something “can” or “should” be is arrogant. Who gives whom the authority to create such a definition anyway? Or who decides to take the authority especially when it’s a universal item that most people on the planet have their own definition for already. Yes, definitions change. It’d be impossible for something to not change. Mother Nature changes, people change, times change. My beer is like my body: it’s up to me alone to define what it is. It’s personal and to have someone tell me otherwise – that’s not beer – is ridiculous, disrespectful and unacceptable. They’re invalidating my opinions and beliefs. It’s time to change “back” to no delineation. It’s time to recognize and work with all beer, tastes, flavors, recipes, and ideas of what beer is, can be and what people want their beer to be. To create delineations in something as universal as beer is also anti diplomatic. Why create and drive another wedge into something everyone already owns themselves? Our energies and efforts are much better spent elsewhere. You shut out as many people or more than you bring in when you draw a line in the definition sand. And no, don’t argue with me that one kind of business that makes one kind of thing is better or worse than another. It’s untrue. Along with that, ‘small’ is a word I also loathe when applied to business. There’s nothing small to an effort you put your entire life into. And all big/ger businesses started much smaller as well. I could go on and on about this. And will pick it up another time. For now, here’s where I stand. Beer is beer. Let’s leave it that way. B is for Beer. Of course! It’s also for Brewing which is cooking. Hence a food connection. If you like to cook, perhaps you like to homebrew. If you homebrew perhaps you like to cook. 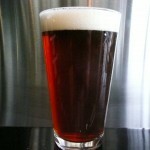 I like to cook with food and beer and am not interested in homebrewing. 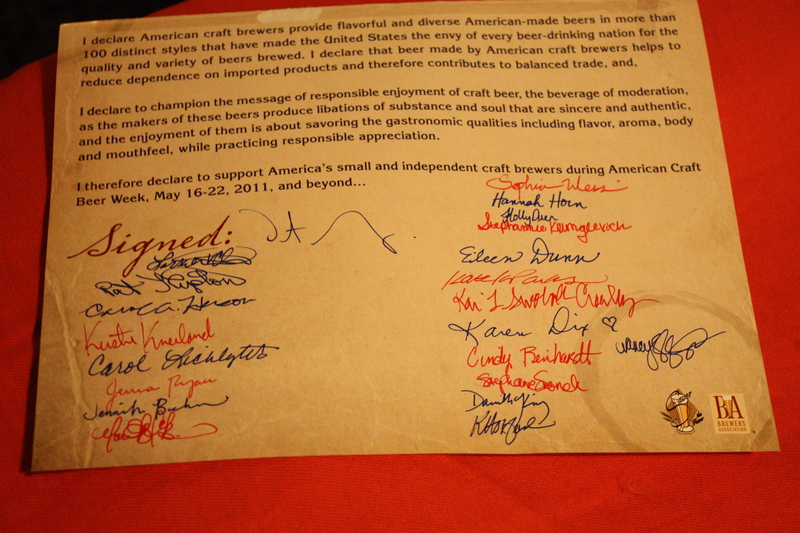 Respect them I do – the brewers of the world. And women have always brewed beer. The World over. It’s our collective short memory that doesn’t recognize that women are the brewers in households and communities literally everywhere. One of the best books I can recommend that comprehensively covers this as a matter of course in the entire book is Chris O’Brien’s Fermenting Revolution: How To Drink Beer And Save The World. WEB’s own Emily and Kat are both homebrewers and I love that they do and enjoy hearing about their exploits and discoveries. The contagious enthusiasm that brewers have, professional and home, is universal. If you’re interested in learning more about home brewing, contact the American Homebrewers Association. They’re chock full of info, knowledge, opportunity and fabulous people who come together over beer making. Here’s another recent book release that can help you learn more about beer. 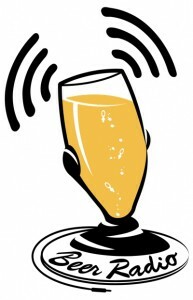 Learn about beer with conversations of people from all over the beer community on KSKQ 89.5 each Wednesday, 5:00-6:00 pm. 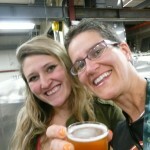 BeerRadio for 27 June 2012 welcomes guest Leslie Henderson, co-founder and Brewmaster of Lazy Magnolia Brewing in Kiln, Mississippi. Find out how Mississippi’s only brewery is changing the state and beer community for the better. 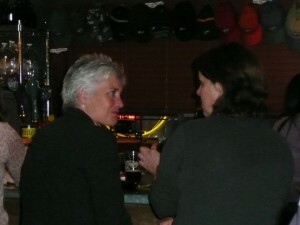 Leslie’s a passionate, super sharp and fun to listen to participant in the beer world. Find out what legislation Lazy Magnolia has helped change for the enjoyment of beer lovers everywhere – and what’s next! This program originally broadcast on KSKQ 89.5 FM in Ashland, Oregon – streamed at KSKQ.org. BeerRadio for 16 May 2012 – Special beery guest, Andy Sparhawk,Craft Beer Program Coordinator of the Brewers Association, Boulder, CO. 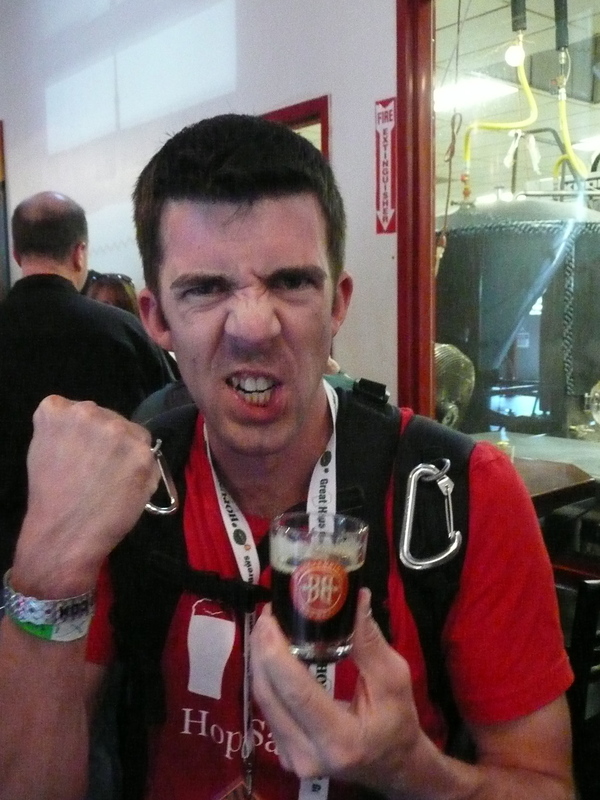 Learn about this passionate advocate of craft beer, if he’s a homebrewer (or not! ), and how he ‘uses’ food in relation to enjoying beer. Andy’s another great example of the professional plugged in beer community who is a superb ambassador for quality beer made by America’s small and independent breweries. The definition of Craft Beer was covered Friday. Look here and here for definitions of Craft Beer. 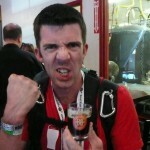 John LOVES American Craft Beer! Today we’ll break it down a bit more. 1. Brewpubs – a restaurant-brewery that sells 25% of more of its beer on site. 2. Microbrewery – a brewery that produces less than 15,000 barrels of beer per year. 3. Regional Craft Brewery – an independent brewery over 15,000 barrels of beer per year whose flagship or majority of volume is in ‘traditional’ beers. 4. 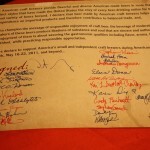 Contract Brewing Company – a business that hires another company to produce its beers. All valid, all different possibilities for producing great craft beer. What do you enjoy your beer with? 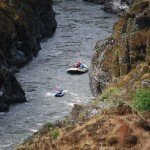 How about some invigorating white water? Women Enjoying Beer has been graciously and enthusiastically invited by Joy Henkle, White Water Warehouse to be along on a very special, first ever for them (and WEB) Oregon Craft Beer Trip. WOO HOO! 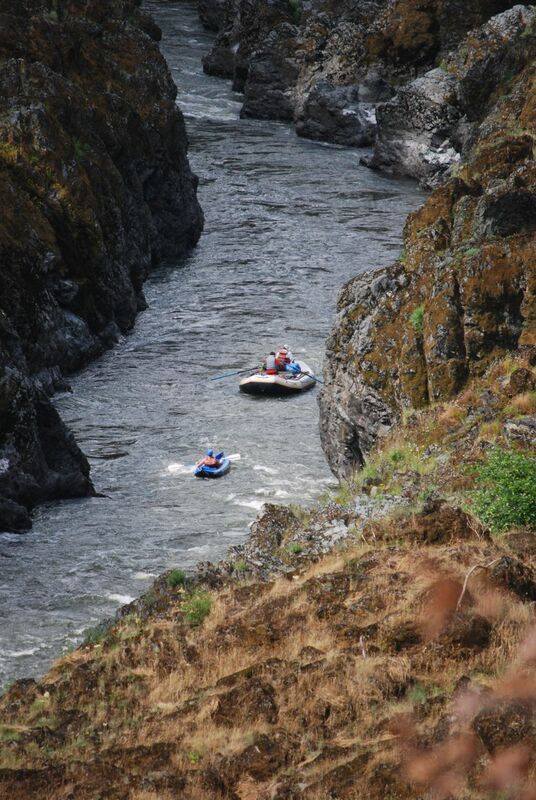 Get that life preserver on because here comes a literal boatload of fun!!! This trip is scheduled for July 18 – 20th, includes comfy lodge overnight accommodations, tasty food, plenty of (free) fresh air and craft beer, and surely dynamite company. And the guests always make the party. That’s you – women and men welcome. Register. Today. 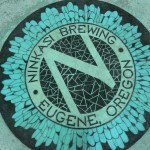 We’ll be featuring the high quality beers from Ninkasi – YEA! – as well for our two nights of pre-dinner beer and food pairing tasting. 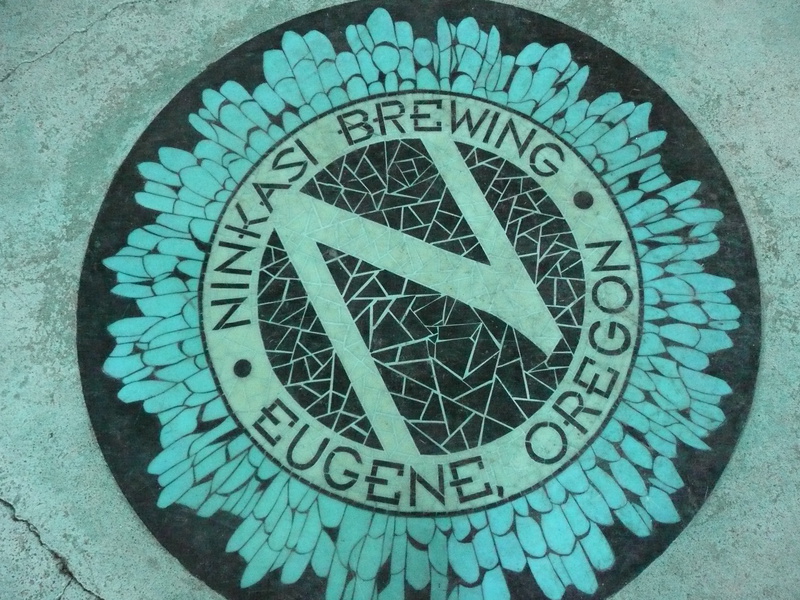 Ninkasi was a generous partner earlier this year for a WEB meet up, much to the delight of the attendees. Thanks to Nicole, James, Jamie, and the entire crew in Eugene (Congrats on the expansion progress by the way). There are a finite number of spots so reserve today by getting in touch with Joy here. How Do You Say "No" in Russian? This article leaves me about speechless. Seems like no one is ‘getting it’. At all. Scary. The liquor companies, the state, the advertising agencies (or whoever is making the ads). 1. It’s Canada Day – So I lift a tasty beer in a Northerly direction – cheers to Rebecca & Brian, and all the brewers and beer folk in Canada. 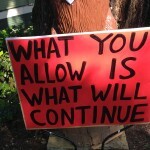 I’ve spent one Canada Day at least in Canada – it’s all good, eh! 2. It’s my anniversary to my Fine Husband, Larry Chase. Cheers, baby – thanks for eloping with me 6 years ago. So toast to whatever makes you happy today – good beer, good people, a good life. I’m grateful. And now I’m thirsty. This post by Charlie is a tasty one. 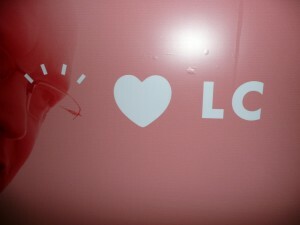 ‘Nuf said. What are you doing to authentically attract female market share to your beers? Here are some questions and pointers to get you going in the right direction today. 1. Above all, be yourself when you do any kind of marketing. Sounds like a no brainer? Well, don’t change your colors, your tagline, your ‘youness’ – be you. Authenticity is enormous and critically important. 2. Where is your brewery or brewpub located? 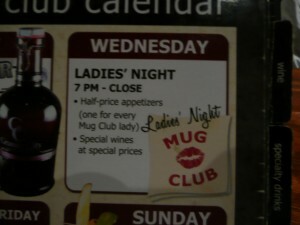 Where can women find your beers? Who lives in the neighborhood? Who are you trying to attract and why? Does the ‘who’ align with the ‘how’ you’re doing it? 3. What do you have available? Are your staff really knowledgeable and up to date on what the heck you make? When’s the last time you had refresher training? When you have figured out your market share, then you can pursue it. Before that, get to know it. There are multiple ways to do this. Find someone (like a consultant who specializes in this area for instance) who can help properly id your market, or what market share you want to pursue and how it aligns – or doesn’t – with you. I’m guessing you didn’t choose to buy inferior beer ingredients. So do your homework on earning female market share. Now.